With this odd fellow we elected President has come discussion about the Constitutional requirements for being President, and in particular that pesky little phrase “natural born citizen.” There are some very long (and some long-winded) discussions about what this means. I personally think the thing is being over analyzed. I hit the Concise Oxford English Dictionary for the “old meaning” of the term, and it provided a very simple definition: “having a position by birth.” so “natural born citizen” means being a citizen at birth. There’s nothing new here, and indeed this is what is usually understood by the term. If you look at all the uses of “natural born,” it means “born with” some characteristic, e.g. natural-born storyteller, natural-born swimmer, natural-born athlete, natural-born mathematician, natural-born musician, and on and on. A natural born citizen is just someone born with the quality of being a citizen. At first blush, this would seem to be a slam dunk answer for Barack Obama’s natural born citizenship, since the fourteenth amendment defines: “All persons born or naturalized in the United States, and subject to the jurisdiction thereof, are citizens of the United States and of the state wherein they reside.” There’s no question in my mind that Barack Obama was born in the United States. Some quibble about the latter part: “subject to the jurisdiction thereof.” Keep in mind that now we are talking about citizenship in general, not the qualifications for President. Some argue that the children of non-citizens born in the United States should not be citizens because they are subject to the government of their parents, that they have divided jurisdiction. This non-citizenship for the children of non-citizens would be a big surprise to hundreds of thousands of Americans with US Birth Certificates and carrying US Passports, and to the US State Department and most of the population. However, the question of citizenship for the children of non-citizens was settled long ago by the United States Supreme Court in the case of United States v. Wong Kim Ark. Wong was born in the US, the child of two Chinese temporary workers. He tried to re-enter the country and was denied entry because he was not a citizen. The Supreme Court in a 6-2 vote declared that he was indeed a citizen. A lot is being written right now about the Wong case (some of it misleading), but the one sure thing in Wong is that the children born in the United States to non-US citizens are themselves citizens at birth. 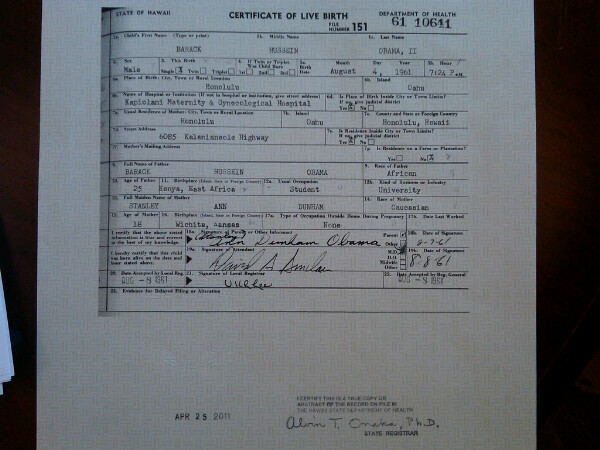 Since “natural born” refers to a quality at birth, anyone born in the United States can grow up to be President. Source: U.S. Citizenship and Immigration Services. See also: Acquisition and Retention of U.S. Citizenship and Nationality – US Department of State. Actually, I don’t think there is any difference between the “citizen” argument and the “natural born citizen” argument. It is the same argument essentially with just one term substituted for another. Donofrio trots out some Swiss philosopher and translates him into English and makes that the rule that the Constitution must be interpreted by (it’s all he’s got) when any instance you can think of of the use of the term “natural born” means born nature, or nature at birth–here citizen at birth. Huge articles are written that bring in great concepts of sovereignty and loyalty and divided jurisdiction, but they all fall flat compared to what the Constitution plainly says. If the Constitution doesn’t define “natural born” then the framers must have assumed that it meant what the phrase means everywhere else: “having a position by birth.” Now perhaps the framers had an unusual idea of exactly who was a citizen at birth, but that was cleared up by the 14th amendment, and clarified as to its application in United States v. Wong Kim Ark. If we accept the equivalence of “subject to the jurisdiction” with “not subject to any foreign power” then Wong demolishes any argument based on “not subject to any foreign power” since the Wong decision is entirely about making the children of aliens citizens under the fourteenth amendment, and specifically placing them “subject to the jurisdiction” of the United States. Remember, that was talking about citizenship, not the qualifications to be president. If these children are not subject to the jurisdiction, then are not citizens at all. But Wong goes on to say that they indeed are fully under the jurisdiction. The point of the preceding citation is to emphasize that aliens residing here are “under our jurisdiction” while they are still aliens. From the first organization of the national government under the constitution, the naturalization acts of the United States, in providing for the admission of aliens to citizenship by judicial proceedings, uniformly required every applicant to have resided for a certain time ‘within the limits and under the jurisdiction of the United States,’ and thus applied the words ‘under the jurisdiction of the United States’ to aliens residing here before they had taken an oath to support the constitution of the United States, or had renounced allegiance to a foreign government. In 1871, Mr. Fish, writing to Mr. Marsh, the American minister to Italy, said: ‘The fourteenth amendment to the constitution declares that ‘all persons born or naturalized in the United States, and subject to the jurisdiction thereof, are citizens of the United States.’ This is simply an affirmance of the common law of England and of this country, so far as it asserts the status of citizenship to be fixed by the place of nativity, irrespective of parentage. ‘But no sovereignty can extend its jurisdiction beyond its own territorial limits so as to relieve those born under and subject to another jurisdiction, from their obligations or duties thereto; nor can the municipal law of one state interfere with the duties or obligations which its citizens incur while voluntarily resident in such foreign state, and without the jurisdiction of their own country. Every citizen or subject of another country, while domiciled here, is within the allegiance and the protection, and consequently subject to the jurisdiction, of the United States. His allegiance to the United States is direct and immediate, and, although but local and temporary, continuing only so long as he remains within our territory, is yet, in the words of Lord Coke in Calvin’s Case, 7 Coke, 6a, ’strong enough to make a natural subject, for, if he hath issue here, that issue is a natural-born subject’; and his child, as said by Mr. Binney in his essay before quoted, ‘If born in the country, is as much a citizen as the natural-born child of a citizen, and by operation of the same principle.’ It can hardly be denied that an alien is completely subject to the political jurisdiction of the country in which he resides, seeing that, as said by Mr. Webster, when secretary of state, in his report to the president on Thrasher’s case in 1851, and since repeated by this court: ‘Independently of a residence with intention to continue such residence; independently of any domiciliation; independently of the taking of any oath of allegiance, or of renouncing any former allegiance,–”it is well known that by the public law an alien, or a stranger born, for so long a time as he continues within the dominions of a foreign government, owes obedience to the laws of that government, and may be punished for treason or other crimes as a native-born subject might be, unless his case is varied by some treaty stipulations.’ Executive Documents H. R. No. 10, 1st Sess. 32d Cong. p. 4; 6 Webster’s Works, 526; U. S. v. Carlisle, 16 Wall. 147, 155; Calvin’s Case, 7 Coke, 6a; Ellesmere, Postnati, 63; 1 Hale, P. C. 62; 4 Bl. Comm. 74, 92. 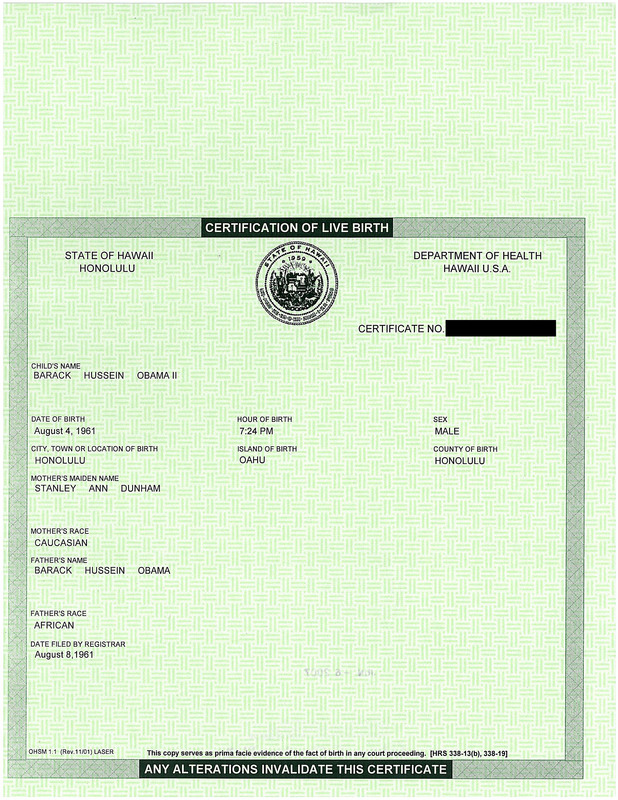 To hold that the fourteenth amendment of the constitution excludes from citizenship the children born in the United States of citizens or subjects of other countries, would be to deny citizenship to thousands of persons of English, Scotch, Irish, German, or other European parentage, who have always been considered and treated as citizens of the United States. That was rather long, but it is important to actually read the case. So it is settled. Persons born here are fully and completely subject to our jurisdiction, and are citizens by birth. All you need to finish the question of presidential eligibility is a dictionary. No wonder the Supreme Court decided not to get involved. In the interests of full disclosure, there is some reasoned dissent to the view that everyone born as a citizen is a “natural born citizen”. There is near universal agreement that those persons born in the United States (save a few exceptions) are natural born citizens. They are citizens “by the constitution” (and in particular the fourteenth amendment) in contrast to citizens by law (laws such as the Naturalization Act of 1790, which specifically names the children of citizens born “beyond the seas” “natural born citizens”). If John McCain had been elected President in 2008, then there would have been a more legitimate constitutional question, since he was born in a foreign country outside of the United States of US citizens, unlike Barack Obama who was born in the United States. Don’t know what additional worth of the following will be but since you mentioned John McCain and I see the Senate Resolution 511 is becoming a popular reference topic elsewhere I figure why not. It specifically includes former Solicitor General Theodore Olson and Harvard Law School Professor Laurence Tribe analysis of the issue, which touches upon and clarifies factors that are relevant in relation to Obama’s situation indirectly. This seems to me to be a simple misunderstanding of the law. While, as many have noted, there is little legislative history to draw from, I believe that the “subject to the jurisdiction thereof” was simply meant to exclude children of foreign diplomats and emissaries, etc. Stated another way, it has long been held that the child of a foreign diplomat who is born in the US is not a US citizen, and is not subject to most US laws. This is so because the foreign diplomat is not subject to the jurisdiction of the US — going back to British law during the Revolution. (If you have lived in DC, you’re familiar with the many news stories of foreign diplomats – and their children – being immune from prosecution for various crimes. They can be “deported” from/forced to leave the US, but they cannot be tried here – even for serious crimes). Tes, and another light gray area is whether children born in DC are natural born citizens since the District is not a “state”. The details, in case you’re curious. At common law, the only people born within the realm who were not natural-born subjects were (a) the children of foreign sovereigns and their ambassadors and (b) the children of enemy aliens having invaded and taken actual possession of some part of the King’s dominions, for these were the only two classes of people who could be within the realm without owing “local allegiance” (ligeantia localis) to the sovereign. This rule is set down in Calvin’s Case, 7 Co. Rep. 1, 18a-b, 77 Eng. Rep. 377, 399 (Ex. Ch., 1608) — the single most important case in all of Anglo-American nationality law. (Which, incidentally, I have yet to see any NBC-truther give the slightest indication of having read.) There is a version here, but it may have some typographical errors. Effectively, the only difference the Fourteenth Amendment phrasing “subject to the jurisdiction thereof” makes is to add a third category of exceptions — Native Americans. The story behind that exception is long and complex, but I can give you some references if you want. The best short general discussion of the “subject to the jurisdiction” clause of which I am aware is James C. Ho, “Defining American”, 9 Green Bag 2nd 367 (2006), available here. Berg’s latest: new lawsuit as an Interpleader. Berg is suing on behalf of a retired colonel to find out of the colonel has to obey orders from Obama. Berg says that the Interpleader suit forces Obama to defend his right to the presidency. We laypersons run to the Wikipedia to see what the heck this is. So the defendants are Soetoro aka Obama and Biden to force them to decide who gets to be President. Biden says “that one” and it’s over, right? This sounds too screwy to make it to trial. Why would a Retired Colonel have to follow PE Obama’s orders? He’s retired isn’t he? No matter how much we research the topic of NBC, we come face to face with the simple fact – legal experts don’t agree. The mere fact that congress passed a resolution to state the MCCAIN is an NBC – is proof that the subject cannot be resolved by laypeople nor even by a simple resolution of Congress. There have been several bills before congress to try and settle this issue of the meaning of that pesky phrase – again proving there are those in congress that would agree – the NBC clause is far from resolved. So OBAMA is the TEST CASE. The SC cannot ignore this pesky phrase and the other issues surround Obama’s murky childhood. I personally seriously doubt a 17 year old white girl from a middle class family would fly off to Kenya to give birth with a Man she barely knows. That said, I suspect something is up with the old BC. Too many strange affairs going on. I think because all his documents are sealed we cannot really see the true issue’s here going on with Obama. But should these documents (BC, Marriage Certificates, Passports, College Records) surface – I think we get a better idea. Perhaps they are not enough to make him ineligible but who knows. I personally am wondering what his Real Legal Name is? If he is not using his real legal name for some reason that could put serious questions about the election. Maybe he doesn’t really know. First, I have to ask if the “Tes” commenting on here is the famous attorney “Tes” who was banned from Berg’s blog? If so, GOOD FOR YOU (they are still VERY upset at you, BTW). Next, I would guess the only thing this recent legal lunacy will accomplish is to drive the court to finally impose Rule 11 sanctions. Recall, Berg is quite familiar with Rule 11 sanctions from his run-in with Judge Joyner back in 2005. Finding that a Pennsylvania lawyer had committed a “laundry list of unethical actions,” a federal judge has imposed more than $10,000 in sanctions and ordered the lawyer to complete six hours of ethics training. U.S. District Judge J. Curtis Joyner’s 10-page opinion in Holsworth v. Berg is packed with criticism of the conduct of attorney Philip Berg of Lafayette Hill, Pa.
“Other attorneys should look to Mr. Berg’s actions as a blueprint for what not to do when attempting to effectively and honorably perform the duties of the legal profession,” Joyner wrote. I cannot agree that there is any meaningful disagreement in government or academia that (as stated by Republican Senator Lindsey Graham) “Every child born in the United States is a natural-born United States citizen except for the children of diplomats”. Obama is not a “test case” and the Supreme Court CAN and HAS ignored this fabricated non issue. As for “legal name”, unless a US Court orders a name change, a name is not changed according to US law. The Indonesian name change is nothing more than a trick to fool people, and Berg knows it. 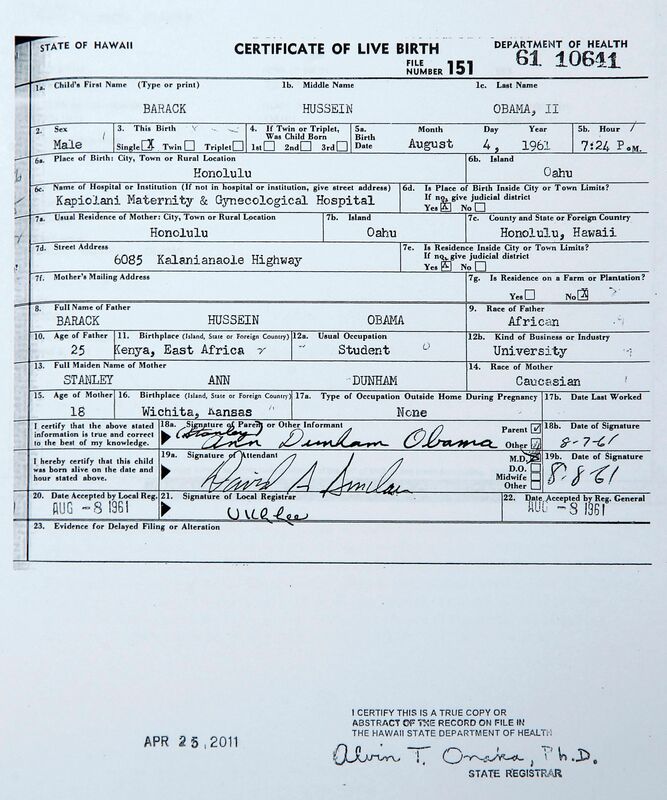 Throwing around Obama’s step father’s name is just a smear to make people suspicious about “who this man really is.” I would point out that many presidents were elected under names that were not their “legal names” for example “Jimmy Carter” was on the ballot but his legal name was “James Earl Carter, Jr.”. Perhaps as an officer of his rank he is subject to recall. While that discussion is about John McCain, the latter part of Laurence Tribe’s analysis affirms what I and most everybody else has read, that birth place also makes for natural born citizenship. Whether McCain was born in the Canal Zone, and whether this constitutes “in the United States” for the purposes of the fourteenth amendment” notwithstanding, if you’re born in the United States and subject to its jurisdiction, then you can grow up to be president. They really need to go beyond sanctions and discipline this guy with a suspension or, better, disbarrment. He is completely unhinged and totally out of control. 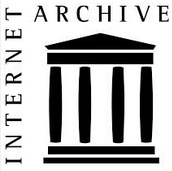 The Comment form here includes an optional web site. If you fill in a web site then your name on the comment becomes a hyperlink to that web site. Some posters here, like Tes, have done that. Up until now, I haven’t done that since it would just point back here 😉 I will going forward. As I understand it, and perhaps I may be misinformed, but Andy Martin isn’t even a lawyer is he? How about capital punishment, hys? Surely it would be commensurate with his crime. No? Then how about replacing incompetent vetting officials; or, better yet, impeaching judges whose bizarre construal of standing blocks us common folk from access to a ruling on the merits? Isn’t this their way of shirking their Constitutional duty to adjudicate cases and controversies affecting our fundamental rights under that Constitution? It seems the thought police are out in force. Merits? What merits? Accusations, fabricated evidence, affidavits of heresay/2nd hand information. Berg does not present one piece of evidence to support his case. You need to go read Whatsyourevidence? so you might grasp the situation. It is concise and provides facts/evidence/law that clearly debunks Berg’s case. Again, bog, your presumption that I’ve not carefullyread (and evaluated) WYE is unwarranted.In assessing ‘standing’, shouldn’t the judgetentatively accept (at least in theory)the merits of the plaintiff’s position before actually addressing those merits? Go ask hys. She’ll help you “grasp the situation” (in between laughs). Sorry for the late reply. If the plaintiff has no right to bring the suit (standing), it doesn’t matter how good or valid the issues raised are. Let’s say that I thought John Brown slandered Fred White (but I unrelated to either). I couldn’t sue Brown no matter that I could prove the slander. I have no standing. In Berg’s case, his claim to injury was too generalized to grant him standing. It doesn’t matter if Berg had had real evidence (instead of Internet rumors, out of context affidavits, misstatements of law, and the Italian Wikipedia), he had no standing to bring the suit in the first place. Judge Surrick gave a real lesson on standing in his decision and it would be good to read that instead of trying to derive law from common sense ideas of what ought to be. The issue then is who has standing. As I’ve stated elsewhere, Judge Surrick merely rehashes what his brethren have concocted before him to use at their discretion whether andwhen to deny the citizenry a hearing on the merits,evenwhere fundamental Constitutionalrights are being threatened orundermined. The merits, BEFORE standing is decided, are irrelevant, or should be. That standing should be denied because the injury is widespread is, on the face of it, bizarre andunConstitutional. And, Doc, what ought to be is always contained in everyexample of criticism or ridicule before it becomes the next whatis. Perhaps you should reconsider your reflexive deference to authority and the status quo it controls. Once again, I’ll resist referring you to work you may already have read and properlyevaluated. If I understand the “patriots” correctly, they think Doc Orly’s case does not have an issue with standing, correct? So, when Doc Orly’s case is denied/dismissed on Monday, then the “patriots” cannot claim anymore that a case has not been denied based upon its merits, correct? That is pretty much how I understand it. The only work on standing I have read is Judge Surrick’s opinion in Berg v. Obama et al. I was impressed because Surrick didn’t cite the Wikipedia, not one single time. The issue of standing is really outside the realm of conspiracy theories unless you are suggesting a massive conspiracy of judges to control access to the courts in contravention of law. It sounds like you are saying that but such a conspiracy would only be tangentially related to Barack Obama. 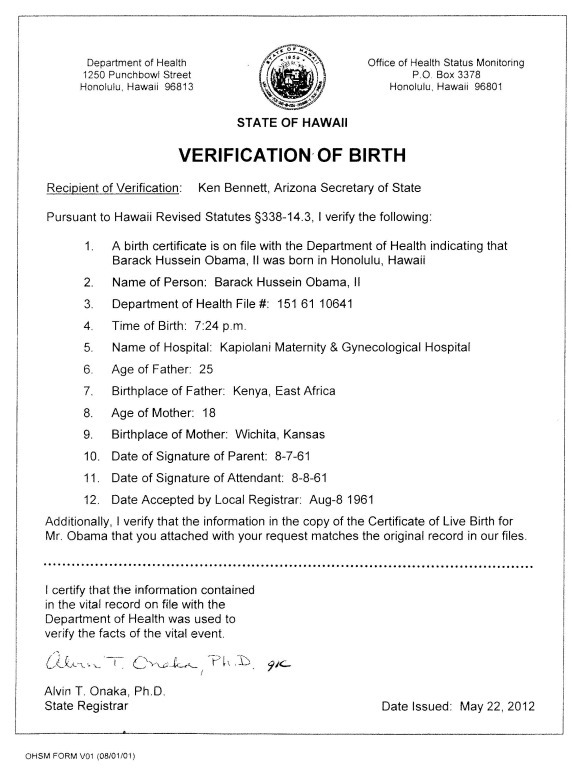 If you’d like to make a legal or constitutional argument that Berg should have been able to sue Obama to get his birth certificate, please feel free. Mr. Martin has a JD degree but was not admitted to the bar.